The key to high performance in the workplace goes beyond traditional “hard skills” — passion is an essential element of productivity. Employees who are able to identify a “passion and purpose” in their lives experience heightened engagement and innovation, and they feel connected to their work in exciting new ways. Organizations that cultivate this sense of engagement can gain a valuable edge in today’s competitive marketplace. 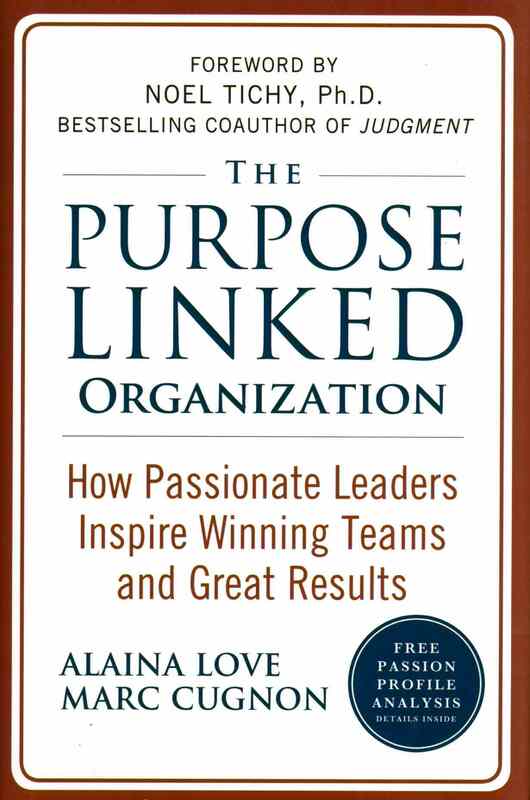 In The Purpose Linked Organization, leadership development experts Alaina Love and Marc Cugnon explain the powerful role passion and purpose play in the workplace and explain how leveraging them effectively can enhance organizational performance. Using the ten “Passion Profile Archetypes,” the authors show readers how they can hone the temperaments necessary for high performance and channel them in a positive direction. 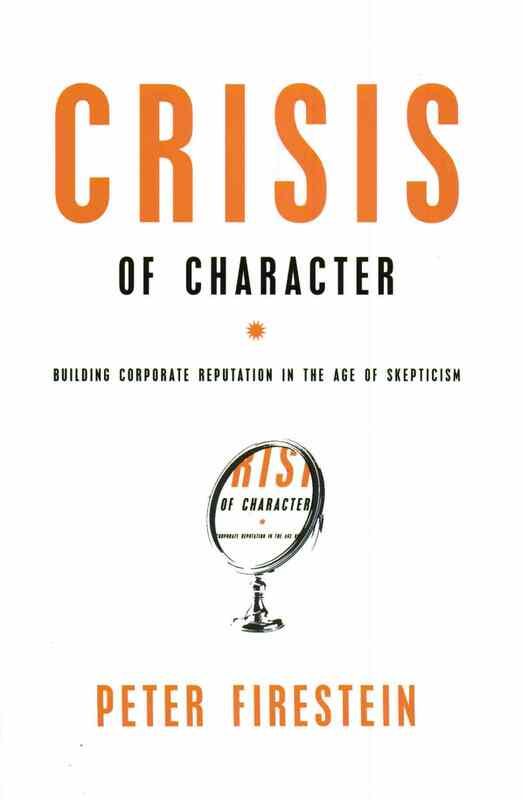 In Crisis of Character, Peter Firestein asserts that building a strong corporate reputation that is rooted in core values and is cultivated throughout the organizational structure provides the key to long-term sustainability in today’s business world. Organizations which have clearly defined their core values, and have created practices which support those values, are less likely to fall prey to unethical and illegal practices which lead to scandal and even to business collapse. As a guide, Firestein provides strategies grounded in practical data from leaders and companies to guide leaders in creating organizational cultures which promote ethical and successful business practices. In the past, an engineer’s primary focus was finding simple and elegant ways of implementing design requirements. Today, however, engineers must also have knowledge of topics beyond the realm of traditional engineering – to succeed, they must possess an understanding of environmental issues, legal issues, and business issues. 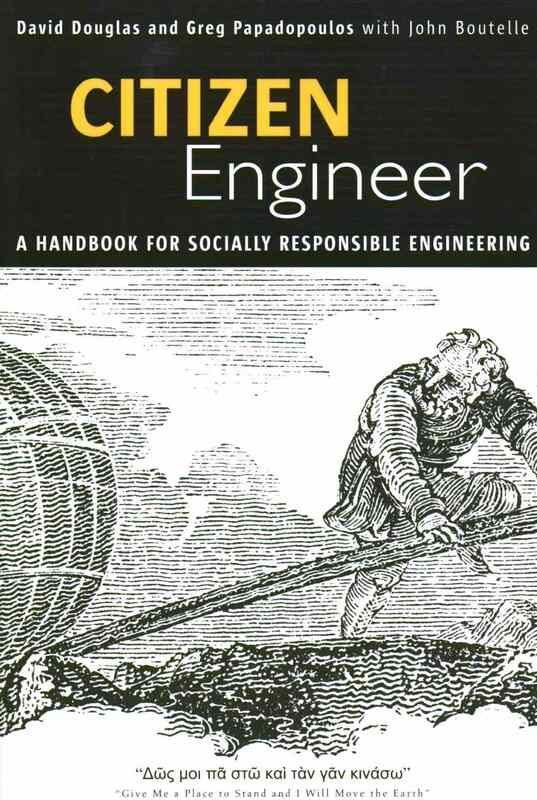 In Citizen Engineer, David Douglas and Greg Papadopoulos examine the nature of engineering in today’s world and discuss how engineers are becoming the link between the world of science and society. They explain how product design is affected by environmental and intellectual property considerations, and explore how sustainable products and services can benefit business while also providing career growth for engineers. News of British Petroleum’s Deepwater Horizon oil spill has reached every corner of the globe. The spill has already far surpassed the Exxon Valdez oil spill of 1989, in which about 11 million gallons of oil was spilled off the coast of Alaska. Official figures suggest that the Horizon well is releasing around 200,000 gallons of oil into the Gulf of Mexico every day, and other figures have that number well over 1 million gallons per day. When all is said and done, the Horizon spill will likely become one of the largest oil spills in history. This story highlights two very important aspects of executive leadership: 1) crisis management and 2) corporate responsibility. While relatively few CEOs will have to confront a crisis of this magnitude, teaching crisis leadership is still a necessity. Leadership in a crisis can be learned, and it can be appropriately scaled to match the situation. 1. Act Timely. Leaders cannot afford to sit on their hands while the crisis grows unchecked. The longer the crisis continues without intervention, the harder it will be to resolve, and companies do not want to look apathetic. 2. Scale their Response. The response to the crisis must match its size. All personnel required to resolve the crisis should be informed and mobilized immediately. When in doubt, it is better to over commit than under commit resources. 3. Make Amends. After the crisis is under control, leaders must find a way to make amends with those affected by the crisis. This will help companies retain current customers and prevent alienation from potential customers. It is not enough for a company to resolve a crisis; they must also take responsibility. BP executive Tony Hayward has put his face on this crisis and has communicated BP’s full responsibility for the cleanup effort. While many people are critical of oil companies in general, Hayward has tried to save face for BP by stating the company would pay for the cleanup effort and plug the leaking well. By appropriately responding to a crisis and taking responsibility, executive leaders and their companies will have a better chance of maintaining positive public relations, and while many executive leaders may not have to deal with national or global crises, training and preparation will assure a company will not be caught off guard.